At the end of November I had an early Christmas celebration with my family before I packed by bags and headed south. After several long flights, I finally arrived on Reunion Island, where I would meet staff from the French National Institute for Agricultural Research (INRA) and the French Polar Institute (IPEV) to join on a research expedition to the second most isolated group of islands in the world. 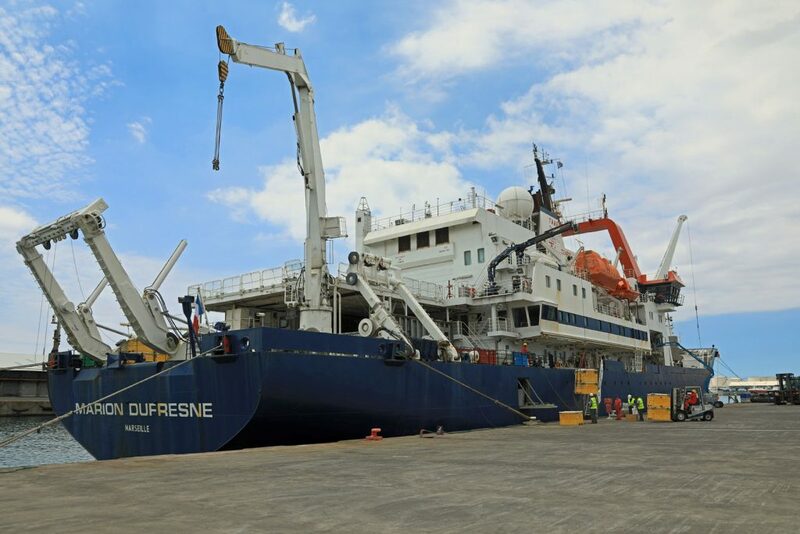 The research vessel Marion Dufresne is being prepared for the voyage to Kerguelen. Photo: Sindre Eldøy, NTNU University Museum, CC BY-SA 4.0. 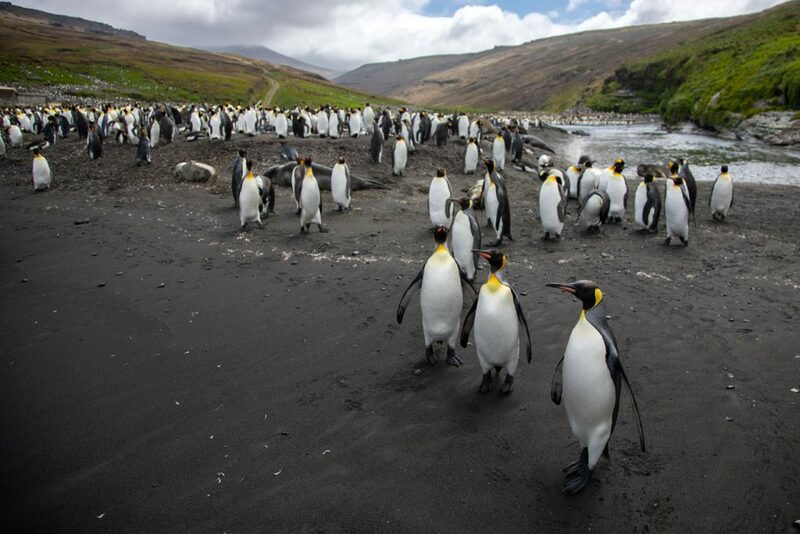 The destination for this expedition is Kerguelen, a French territory in sub-Antarctic waters in the south Indian sea. 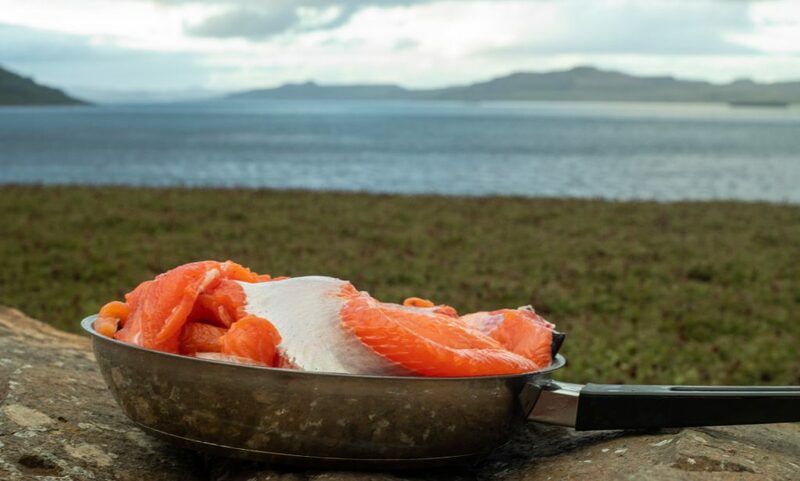 Sea trout and seven other species of salmonids were released into rivers and lakes on the island in the 50s in order to have food for the people at the research station, and as an attempt at commercial aquaculture. The sea trout is the only species that really went out and colonized new watercourses, and it did this via the sea. There are now several sea trout populations on Kerguelen, but the colonization seems to have slowed down towards the northeast of the island group. We want to find out why. The winter of 2017-2018 we put electronic tags into 50 adult sea trout. These tags omit signals that are read by 52 receivers that were placed in the rivers and lakes, and in the sea, at the same time. This method is called acoustic telemetry. By doing this we get information about where the trout is moving, as well as at what temperatures and salinity the water is. 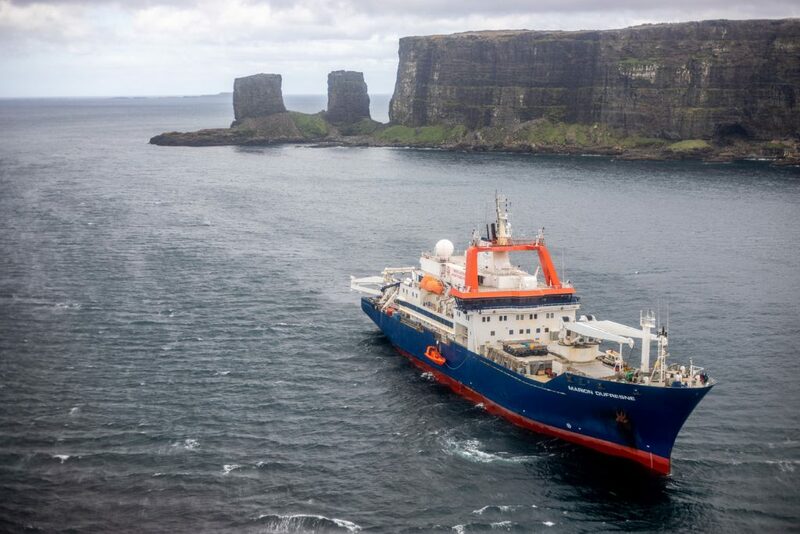 My main objective on this expedition is to make sure we find and retrieve these receivers, and to download and secure the data that they have been collecting over the last year. 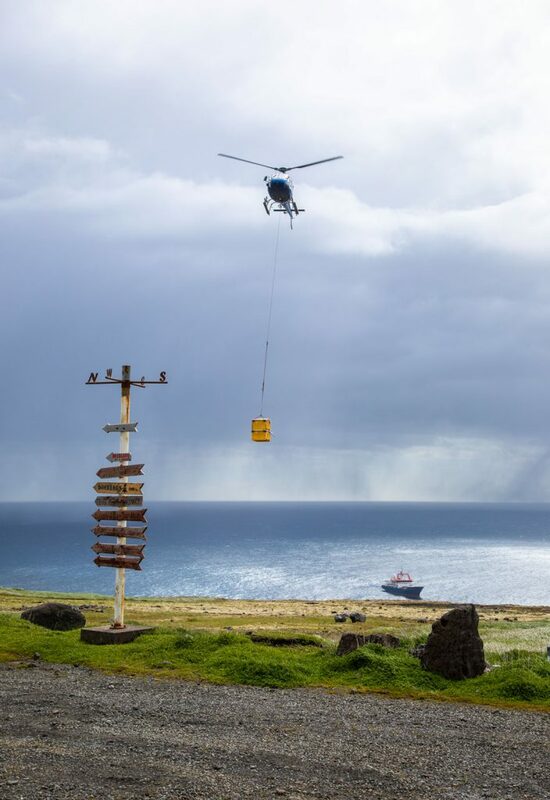 The project is a collaboration between IPEV, INRA, Ocean Tracking Network (OTN), Dalhousie University, and the NTNU University Museum. As a PhD student at the NTNU University Museum I routinely work with similar types of data from projects in central and northern Norway. Even though I’m used to field work in great scenery from places around the Trøndelag region, and the Tosenfjord and Skjerstadfjord in Nordland region, it’s hard not to get distracted from the work by the king penguins and elephant seals along the rivers edge. Whilst I’m here, I also participate in fieldwork studying other salmonid fish species and I get to know so many interesting people and make new connections for potential future work collaborations. What better way to get to know each other than spending Christmas together in a tent camp and enjoing a nice meal on freshly caught trout and French wine? After five weeks of travelling, waiting around at the Port Frances research station, and doing fieldwork for other projects than my own, I now can’t wait to start hunting down these receivers. Christmas Eve was spent in a tent by the trout containing river Aceana, a three hour boat ride from the research station Port Frances. (Photo: Sindre Eldøy, CC BY-SA 4.0).